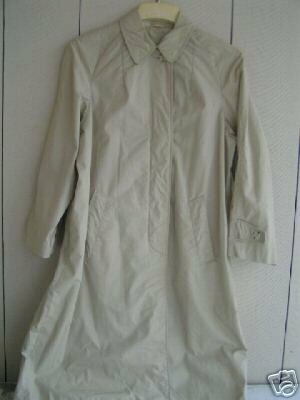 Home » Auntie Lulu's Cucku's Nest » 1960'S Breakfast At Tiffiney's Style Tan Trench Coat / Raincoat sz. Med.-Lg. 1960'S Breakfast At Tiffiney's Style Tan Trench Coat / Raincoat sz. Med.-Lg.